PUBLIC TRANSPORT:It is also possible, but it takes longer due to the tranfers. We don’t recommend it if you arrive late. Price about 15 .-Eur/person and travel time about 150 min. 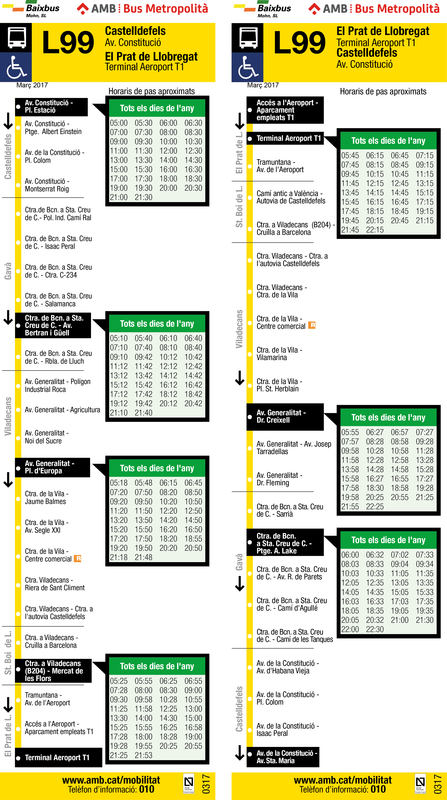 You have to take first one bus at Girona airport to Barcelona-Estació del Nord. It takes about an 1 hour. Bus timetables depend on flight arrivals. Bus timetables: www.barcelonanord.com. Once at Barcelona-Estació del Nord walk till the nearby Barcelona Arc de Triomf train station, and there get the train to Calafell. The trip takes about 1 hour. First get a train to Estació de Sants (it is a short trip and trains leaves very often) In Estacio de Sants transfer to platforms 9/10 and get the train to St. Vicenç de Calders and get off at Calafell. It will be clearly signposted. These trains depart every 30 mins approximately. It takes less than 1 hour. Last train from Barcelona Sants approximately at 22 pm and at 23 pm.